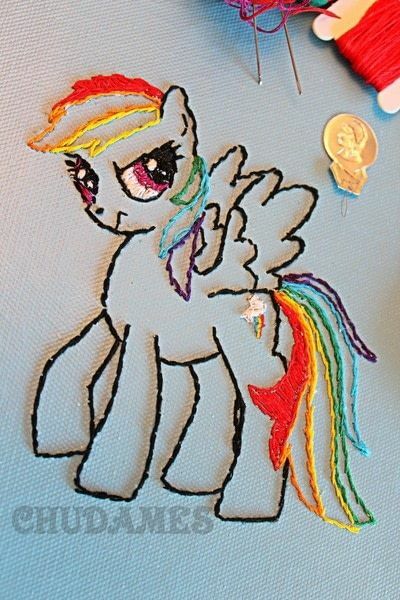 I've had a few people mention to me that they'd love to be able to embroider. I've learned how to knit, crochet, and now, how to embroider from YouTube. I had no crafty Grandma to teach me. I had no friend to show me. I just Googled, YouTube'd, Pinterest'd and learned. Part of a challenge for me when learning a new craft is my left-handed-ness, so I really have a difficult time finding another crafty lefty to teach me the ways of the fiber arts. Instead, I turned to the oracle that is the Internet to show me the way. 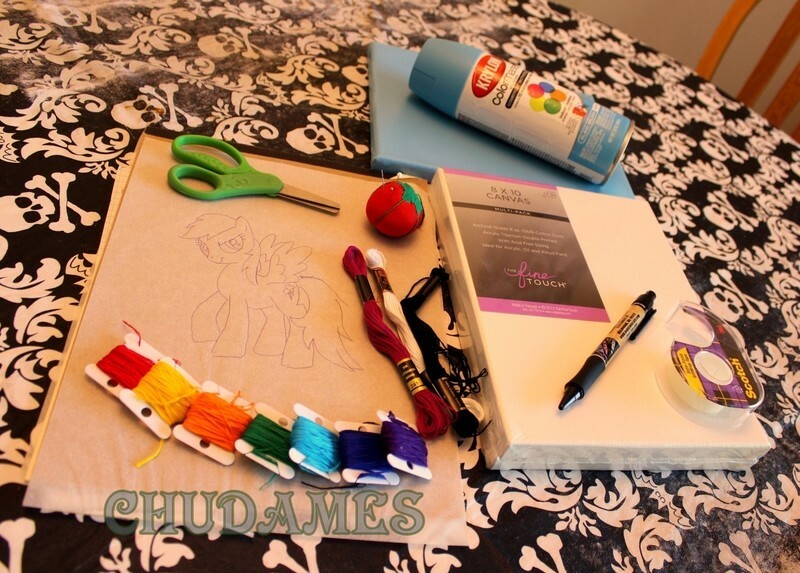 In this tutorial, I'm going to show you a very simple way to embroider something onto a canvas. 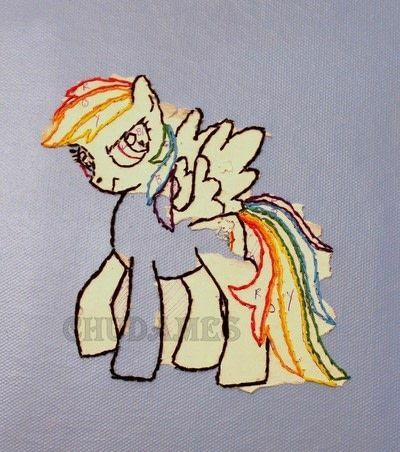 Mind you, embroidery can be very time consuming, especially if you are a newbie like I am. Make sure you have some good music, an audio book, or your favorite show ready to go, because this is going to take a while. 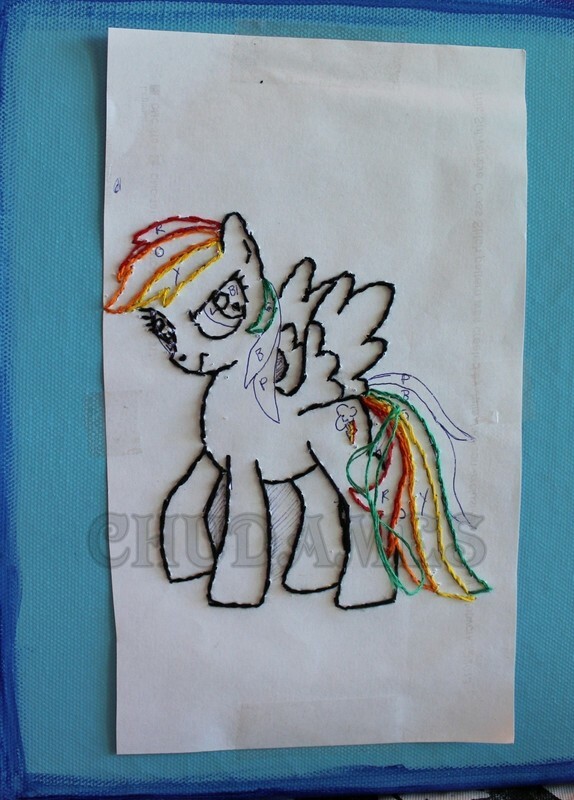 If you've never embroidered before, take some time to get to know the stitches I've listed, and practice by making a quick doodle of lines to go-around on scrap fabric, or heavy paper, *before* tackling the canvas. If you know how to draw, this will be a whole new experience to take your art to the next level. If you aren't the most confident artist, fret not! You can easily find coloring book pages online to print, or trace. 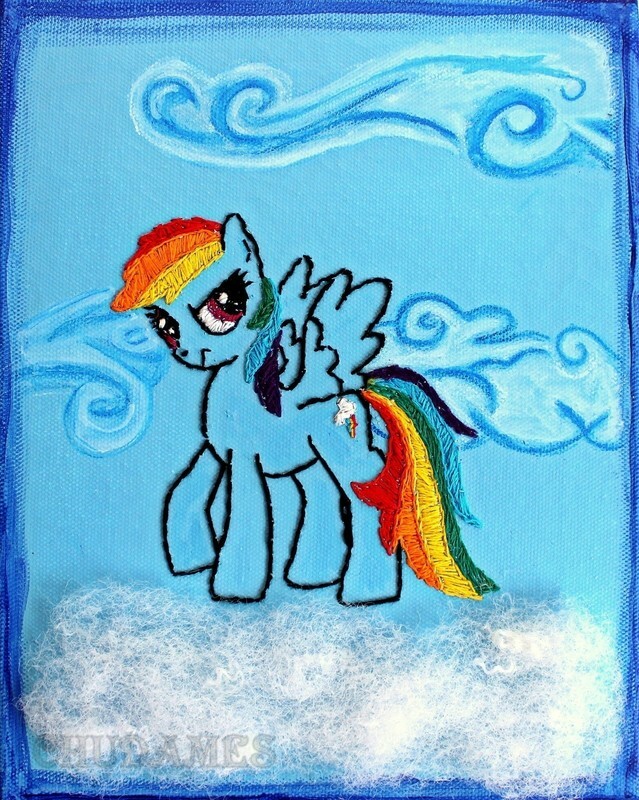 You'll have a unique looking piece of art for your living room, or to give as a gift! 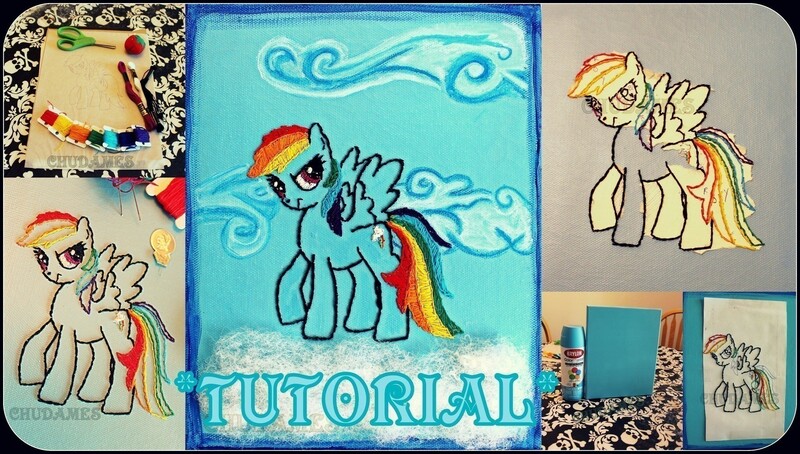 Please feel free to share by Linking others back to this Tutorial, But Please Do Not copy & paste my tutorial to another site. I can't wait to see what you make! Post a link in the comments so I can see your creation! I hope you enjoy, and Share away! - Non-Glossy Spray paint or acrylic paint. 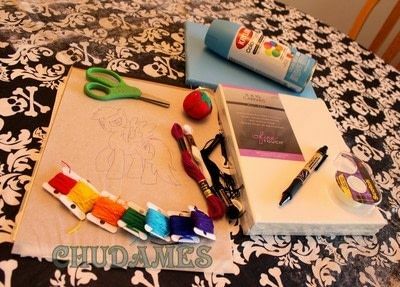 - Embroidery Floss in desired colors. - A pin or another sharp needle for poking holes. - Tracing, Notebook, or some other thin drawing paper. - An original drawing, or something to easily trace, like a coloring book (remember to credit/link-back if it's not your design). Step #1: Paint your 8" X 11" Canvas your desired color. 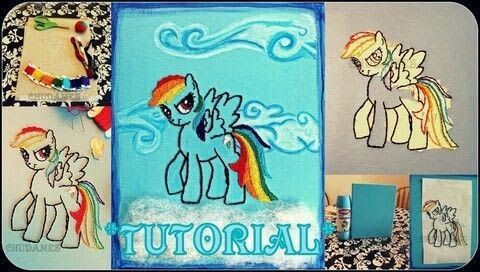 This can say's 10 minutes, but I recommend waiting over night so you're not working with a fume-y canvas. Huffing wet canvas fumes may alter the desired outcome. 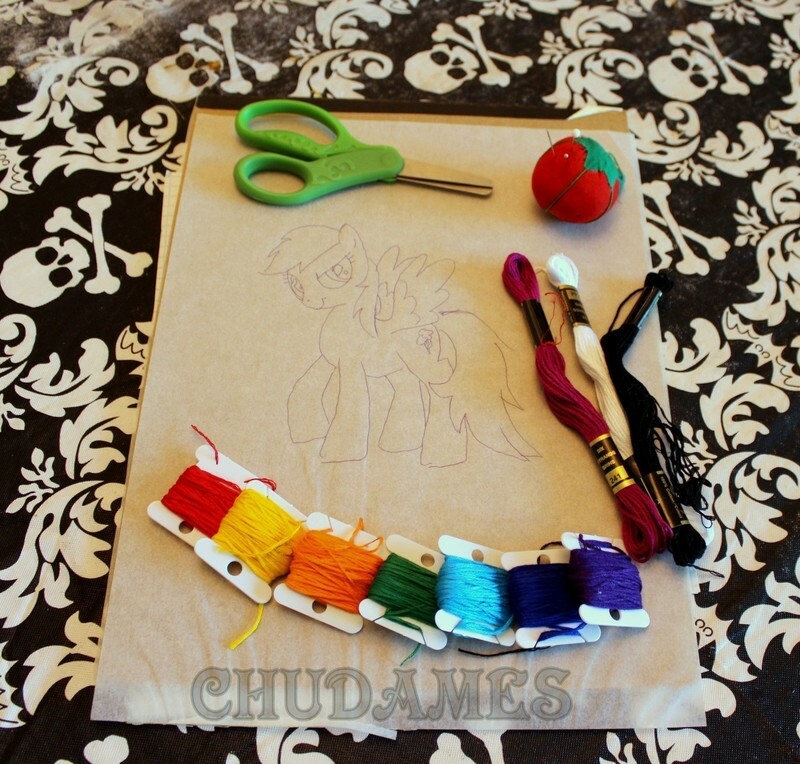 Step #2: Draw or Trace your design on a separate piece of paper, and gather your desired thread colors. If you would like, color-code your design. 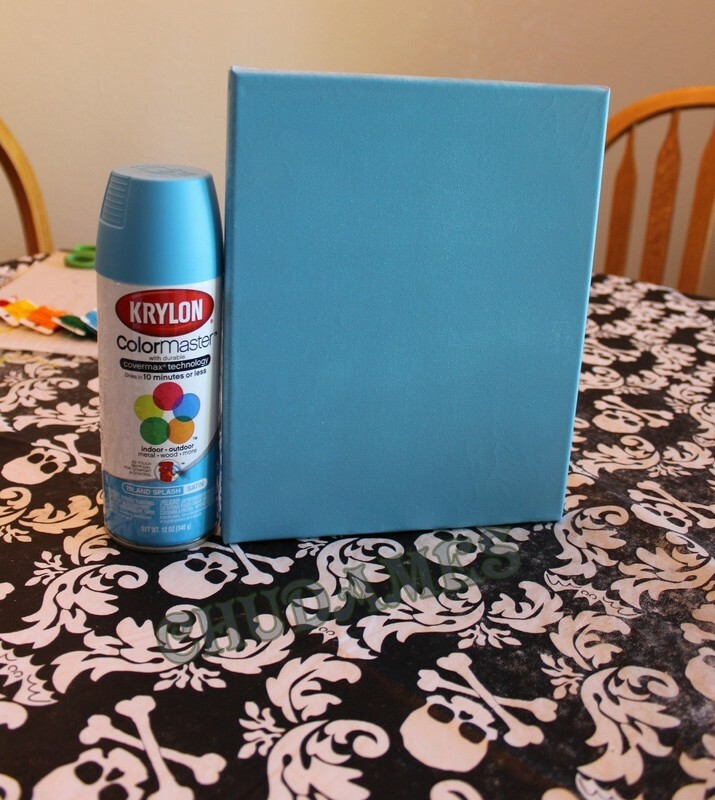 Step #3: Place your design onto your canvas, and tape into place. If desired, poke pre-made holes with a pin. I like to use the pin to poke my starting place for each color as I go, because it is hard to "guess" where the needle might come through on traditional canvas. Use 3 strands of floss for heavy outlining. Use 2 strands of floss for detailing. 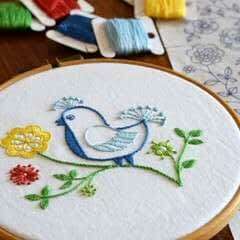 Embroider thick lines with Stem Stitch, such as, the Outlines. Rainbow Dash's hair and body are done in Stem Stitch. Facial features and cutie mark are done in Back Stitch. The nose is done French Knot, but can also be done in back-stitch. Do whatever is comfortable for You. If stem stitch is too advanced or frustrating (mine isn't perfect), you can always do 3 strands in Back Stitch for the body outline, and 2 strands in Back Stitch for the facial features. Step #4: Carefully peel away paper. If you are using tweezers during this step, be careful not to scratch your canvas. ... or just scratch it a bunch all over and say that was part of the idea. No one has to know. It'll be our secret. 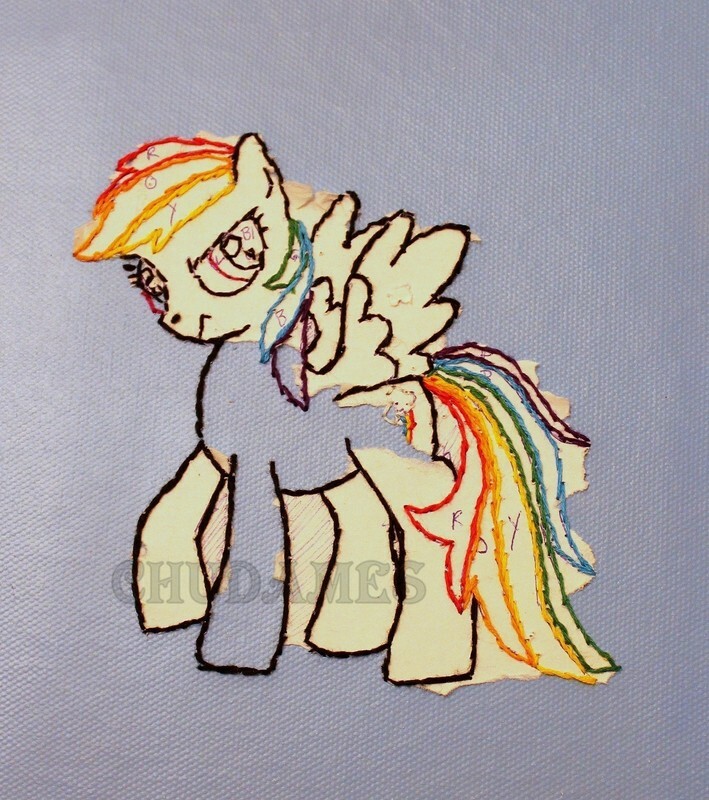 Step #5: Fill in with color by using Seed Stitch, Satin Stitch, or other preferred style of filling stitch. If you're feeling confident, take up another piece of paper and add some lettering, or another design (Like a quote, rainbow, or cloud). Repeat steps 1-5 if adding more to your canvas. Touch up any unwanted scratches or holes. Maybe hot-glue on some buttons, or sparkles. Paint more additions onto the background. Whatever makes you feel happy! Hang that lovely piece of art wherever you desire! It is now 20% Cooler because it was made by you! Go You, You Awesome Crafty Goddess! that looks fantastic. thanks for sharing, I can't wait to give it a go! Thank you! I hope you have fun! Let me see your results!